By Jason Kim: The long awaited rematch between former WBC welterweight champion Andre Berto and Victor Ortiz is about to become reality with both fighters meeting on February 11th at the MGM Grand in Las Vegas, Nevada. Berto and Ortiz met last April and Ortiz came out on top, winning by a 12 round unanimous decision after knocking Berto down two times. Things have changed a little since then, as Berto has rebounded with a 5th round stoppage win over IBF welterweight champion Jan Zaveck last September to capture his International Boxing Federation title, and Ortiz has lost his World Boxing Council title after getting stopped in the 4th round by unbeaten Floyd Mayweather Jr. in September. Neither Berto nor Ortiz looked good in those fights, and both will have a lot of questions to answer when they step inside the ring in February 2012. Berto hired a nutritionist who was supposed to have fixed his stamina problems by increasing the iron in Berto’s diet. However, Berto looked to be gassing by the 5th round against Zaveck and is lucky that Zaveck couldn’t see out of his right eye to continue fighting. Berto was the exact same fighter who got beat by Ortiz, and he’s going to have to come up with a solution to his stamina problems. It may be that the 28-year-old Berto is simply aging and not the same fighter he was in terms of his cardiovascular system as he was when he was in his early 20s. 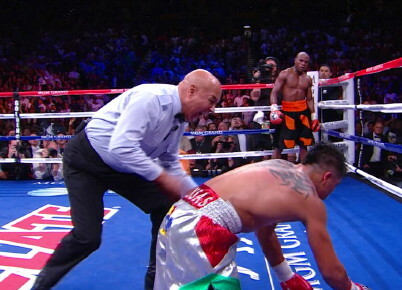 Those things happen and it could be all downhill for Berto from here on out. If Ortiz can handle Berto’s power shots like he did last time, he should beat him again because Ortiz has got a good engine and can punch all night long when he’s not doing stupid things like dropping his guard like he did against Mayweather.